As we stepped into the Kiaora Unisex Salon we came to know that we were in for a treat. The ambiance was relaxing. The appropriate room temperature, lightening and soft-soothing music-all had come together to pamper us with a leisurely experience. The first thing is the cleanliness, which is always at the top of our mind whenever we visit any Salon. For that Kiaora surely gets full marks. Secondly, the products used were all branded. Even their facial menu with its extensive range was designed to cater to the individual need of every skin, though we did not try the same. Apart from their usual Beauty Packages we were introduced to their Slimming Packages for all those unwanted calories. Kioara offers various weight loss programs for both men and women and few like Instant Weight loss is #nowhere else in Jaipur. Regular services like – threading, bleach, scrub, hair-coloring, pedicure, manicure, body polishing, party make-up and waxing are all available under one roof. What we loved the most about this salon that their specialists don’t take more than the designated time for their services. Here it scores over other salons of the city. If you are pressed for time that we all are in this round-the–clock lifestyle, then Kiaora Unisex Salon is the one-stop destination to look up to for all grooming and pampering needs. Committed to provide professional, quality and holistic salon services to Jaipurites, Kiaora is definitely worth a try. 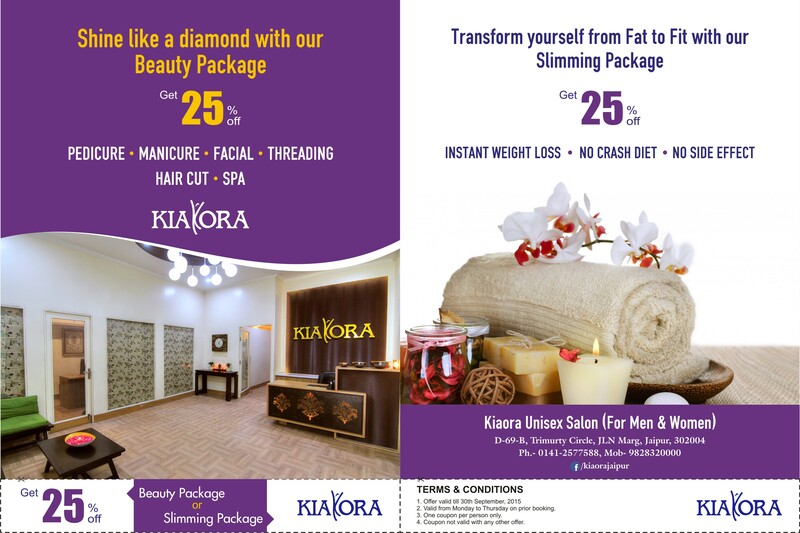 To add to our delight, they are running 25% DISCOUNT till September 30, 2015 on both it’s Beauty Package and Slimming Package, which is valid only from Monday’s to Thursday’s. Make sure to book an appointment to avail this discount. 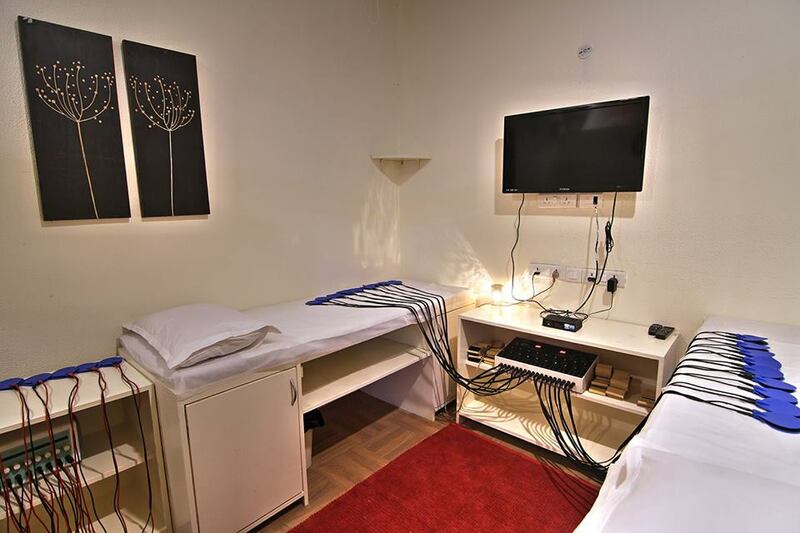 The Kiaora Unisex Salon is located in JLN Marg area of Jaipur, adjacent to Vasansi Sarees.